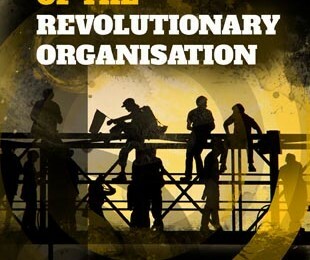 This short pamphlet has set out some of our ideas about the part a revolutionary organisation plays in helping to bring about a revolution against capitalism. It is one of the few pamphlets produced by the Anarchist Federation that intends to be authoritative and prescriptive. Here more than anywhere we try to mean what we say. We find it of vital importance that class struggle anarchists federate with revolutionary organisations in order to realise a free communist society. It is our hope that these words contribute to a general understanding of the need for organisation and of the importance of building mass revolutionary movements throughout the world. These movements must share the aim of abolishing capitalism and the state by taking over the productive forces of society and putting them to our own use, on our own terms. On that road lies freedom.